This large outdoor television is controlled by an in-wall color touchscreen. 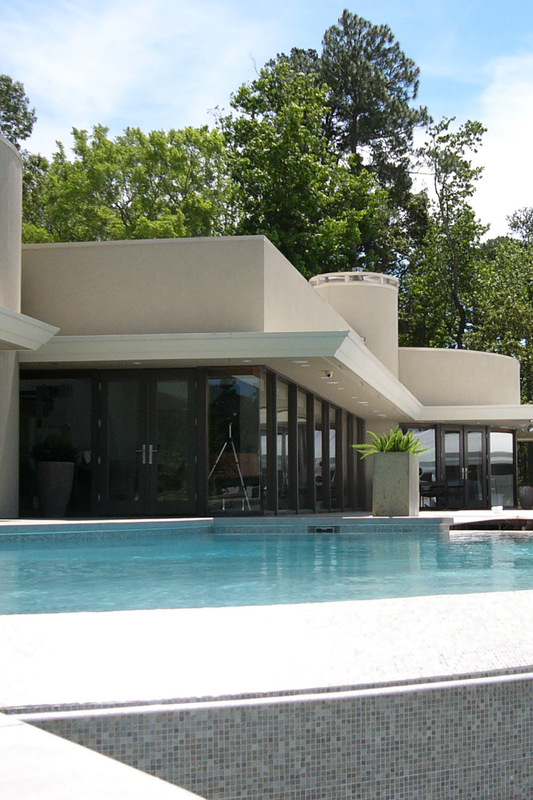 From the touchscreen, the homeowner can access the audio/video system, and the home CCTV security cameras. Weekend games can be enjoyed from the outdoor kitchen. When the front doorbell rings, the camera displays on the TV, showing the homeowners who's just arrived. This outdoor shower is surrounded by natural-looking rock speakers. Our clients wanted music and entertainment in the den of their very formal Hickory Creek home; however, they didn't want to see any speakers. 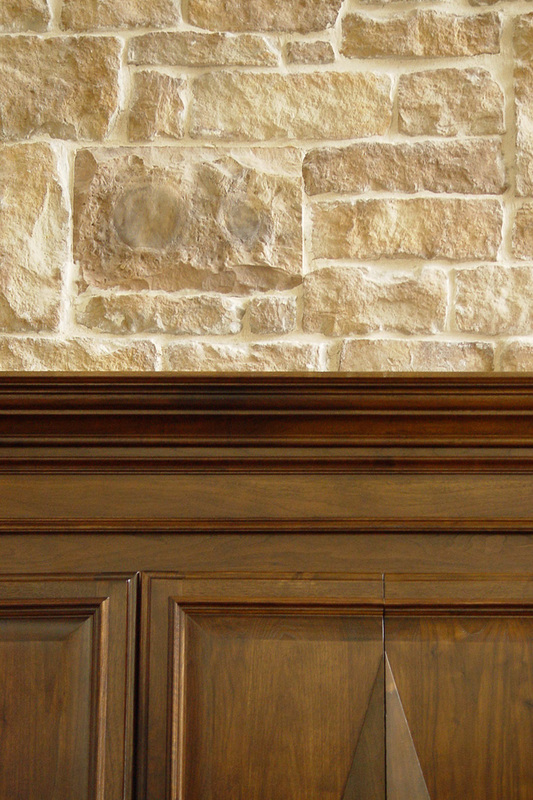 So, we sent a rock sample to Rockustics, Inc., who made two hidden speakers to be mortared into the rock facade around the fireplace and above the cabinets. They sound great, and no one knows they're there. Winter view of a year-long project. This Frisco backyard will rival Disney, when it's complete. It's wired for two outdoor TVs. Speakers are placed strategically throughout the yard. The main entertainment area has a Jack Pack, allowing live entertainment to plug in to the whole-home audio system. 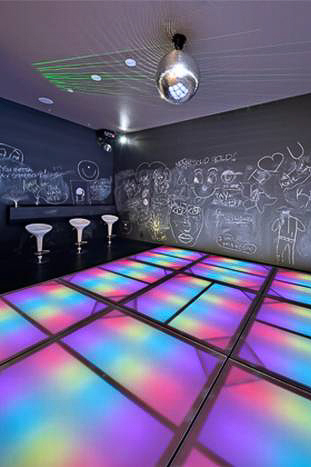 This disco provides hours of fun for the family and teenage friends. Lake living at its finest.